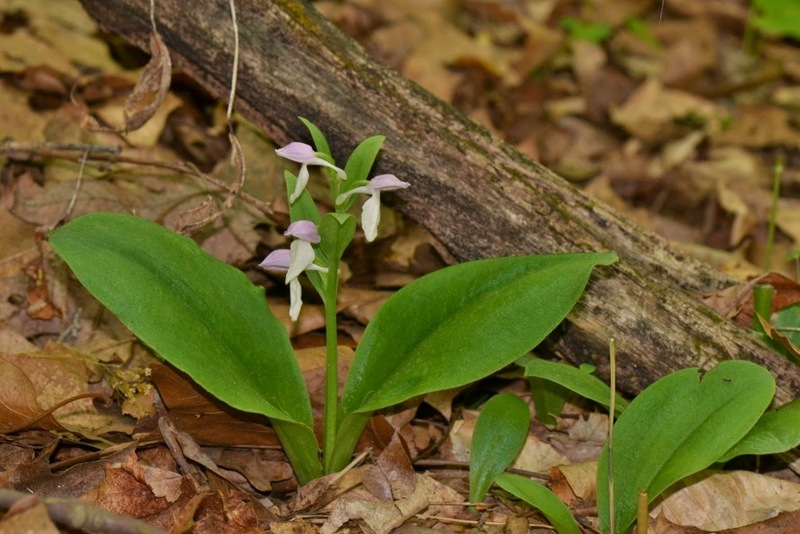 We found this pretty little orchid, the Showy Orchis, growing near a creek. This orchid could easily go unnoticed as its flowers barely rise above the forest floor. Each time we see one of these native orchids it's like a little surprise because they are small enough you are almost on top of them before you see them. Speaking of surprises... the Showy Orchis has a surprise gift for its bumble bee visitors (I'll explain later). 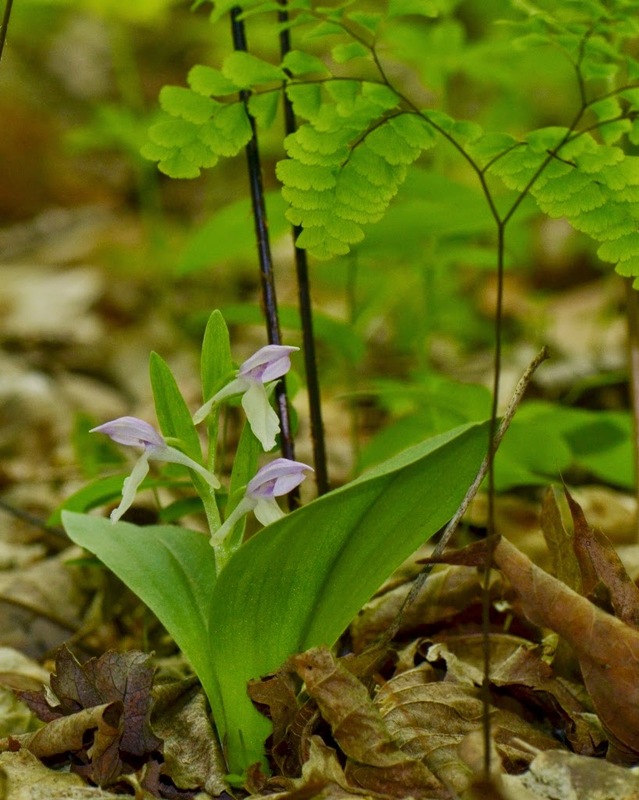 Here is a photo of the Showy Orchis (Galearis spectabilis) growing under a Maidenhair Fern. The Showy Orchis has two broad leaves close to the ground and a short, leafy stalk where its lavender and white flowers bloom only inches from the ground. 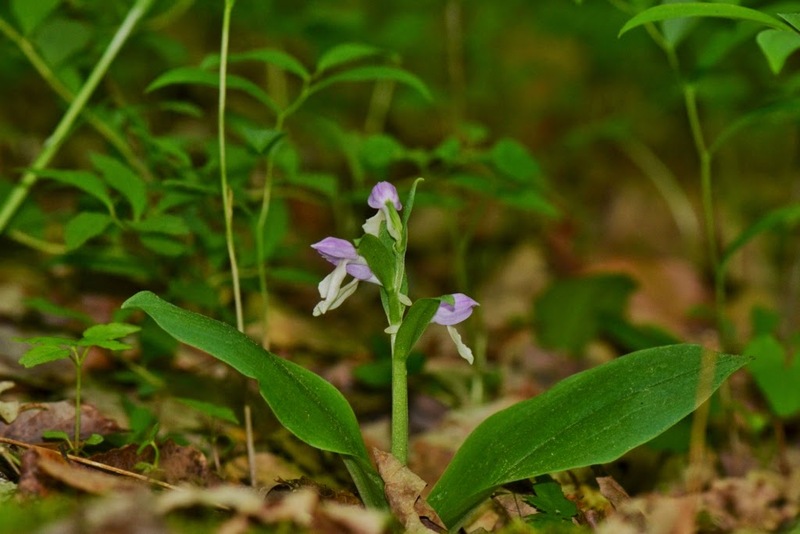 The Showy Orchis has a lavender-colored hood and a good-sized white lip for its bumblebee landing pad. Also, there is a long white spur from the back of the flower... this is where the nectar collects. 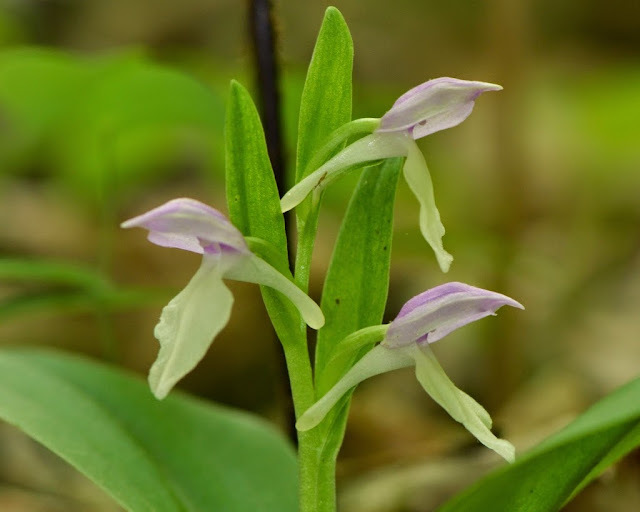 Isn't the Showy Orchis a lovely orchid? Have you seen what this orchid does to bees? Yes, our native orchids each have a bee-tricking apparatus that functions as part of the complicated orchid pollination process. The Showy Orchis is no exception, despite its unassuming size and habitat. My "to be continued" posts are my way of making some posts into a more manageable size, time-wise. Good to hear you enjoy them.